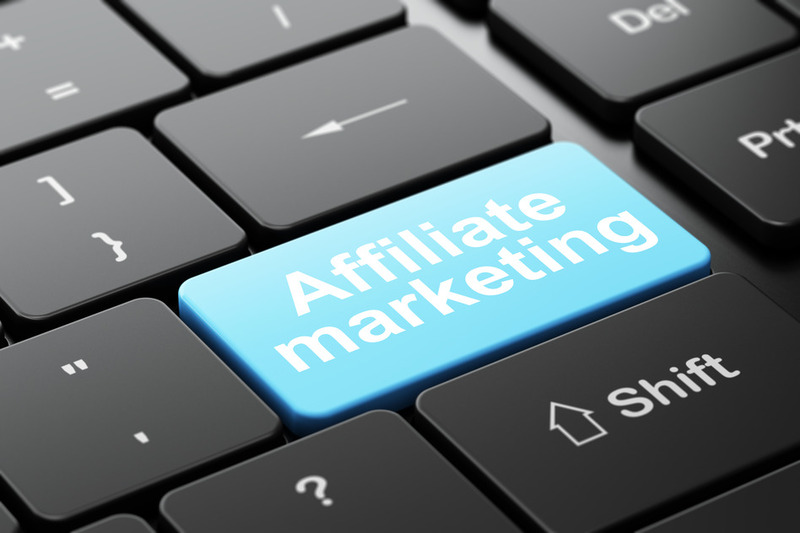 What is affiliate marketing or an affiliate marketer? Affiliate marketing is the process of earning a commission by promoting other people's (or companies') products or services; the product could be digital or physical. As an affiliate marketer, you find a product or service you like, then you get a personal affiliate link for that product or service. When someone goes to that product page using your affiliate link and they make a purchase, you earn a commission for that sale. Commissions can range anywhere from about 3% to 95% of the total sale. The commission amount is set by the product owner. High Commissions: Why would someone give you a 95% commission for their product? Usually, products with high commissions tend not to be recurring or passive income. After the initial sale(s), the product owner will have the buyer's email, which means they can sell other products to them, over and over again without any affiliation to you for those future sales. In essence, you're helping them build an email list to sell future products. In return, they are more than willing to pay you most of the profits for that initial sale because having a healthy email list is also profitable. Email List: Building an email list of prospects/leads is optional, but it will enable you to have an audience of buyers in specific buying categories. With email autoresponders, like GR (read below), for as little as $15 per month, you can create a welcome or landing pages to collect emails as well as set up autoresponders to manage your email lists for you--automate your newsletters, surveys, analytical reports and more. Influencer: If you have a large following, you are considered an influencer. I'm talking about followers that you earned, not ones you paid for. These people will follow you and listen to your suggestions. As an influencer, you can promote affiliate products to your followers. In the same regard as an email list, your followers need to like and trust you. Click here for more tips on earning an income as an influencer. Digital vs. Physical Products: Physical products tend to pay lower commissions because of the added expenses for upkeep, storage, shipping, etc. Digital products pay higher because of the obvious, minimum to no expenses; if it does incur an expense, it would be for things like a platform fee to store, manage the sales of and/or download the digital product. If it's your product, you can simply email the product to the customer after each sale. With digital products, the product owner creates that product once, then sells that one product over and over again; whereas, with physical products, the owner has to continually create new products to replace previous ones. Shortened or Cloak Links: If you don't want people to see your affiliate links, you can shorten or cloak them, which also enables you to track your traffic for the basic shorteners or a whole range of analytics for the advanced version. The popular shorteners, which are free for basic services, are Bitly, TinyUrl, or Goo.gl. Know that if any of these shorteners find your affiliate link questionable, they will shut down the shortener, so before you start promoting by using the shorteners, check back and make sure you're in good standing for that link first. For advanced tracking and analytics with rotating links, try Click Magick (click here to sign up for a 14-day free trial). While you're there, check out their affiliate program. AA platform. Amazon Associates is an affiliate program. It pays on the lower end of the commission scale. Commission per item is low because most of their products are physical products and, as stated above, physical products have higher expenses, which means less profit for commissions. However, Amazon is well-known, so people will recognize the platform. If you know how to promote effectively, you will gain a decent amount of money with this platform. You can join Amazon Associates for free. Once you sign up to be an associate/affiliate, your affiliate account will be linked to your regular Amazon account. Search for an item, select, then click the affiliate link above and use it anywhere. Blogs and Websites. Promote through banner ads on high traffic websites or blogs. Also, incorporate your affiliate product links into blog posts. Being an influencer is helpful in promoting products. However, if you're not an influencer, try utilizing someone else who is an influencer--be a guest blogger or ask to put a banner ad on their blog site in exchange for collaboration or payment. The same goes for websites; try to use websites with high traffic to your advantage. Facebook. If you can get the ad cost lower than a penny per click, then use Facebook ads. Other options include posting about the product on your profile, in groups, or on your fan page. You can also comment on posts with relevant links to answer posted questions. Instagram. If you are an influencer on Instagram, utilize your large following by promoting affiliate items that you recommend. Comment or post on other pages. If you're not an influencer, as with blogs, try to use someone else who is an influencer. YouTube. Create YouTube videos to promote your affiliate products; add links in your videos as well as in your description box. Having a large following on YouTube is essential to making promoting products profitable; however, once again, you can leverage someone else's popularity by doing a collaboration or by paying them. Pinterest. As stated above, having a large following is extremely helpful in promoting products. Create beautiful boards with the products you are promoting to draw people in--do not make them salesy. Don't make it obvious that you're trying to sell them something. Click here to check out helpful books. GR platform. This platform is in the midrange for commissions. Initially, it pays you the full membership of your referrals, then afterward, it pays about 33% commission each month for each member you refer. This platform will allow you to create a welcome or landing page to collect emails, as well as set up autoresponders to manage your email lists for you. As an autoresponder, using this platform, you can automate your creations to set up when and how often to send pre-existing emails to new leads that sign up to be on your email list. You can also automate what correspondence to send them based on their responses. You can automate your newsletters, surveys, analytical reports and more. This platform can be integrated into platforms like the CF platform below. When signing up as an affiliate, you will need to add your social security number or, if you have a business, your EIN number. Commissions are sent to your PayPal account. While you are a member, sign up for their affiliate program. Social Media. Utilize social media as stated in the previous platform promoting ideas--Facebook, YouTube, and Pinterest. The profit level on this platform allows for advertisements. Blogs and Websites. Use banner ads on your blog or website. If you don't have a high traffic blog/website, pay to utilize someone else's or collaborate by being a guest blogger or try another form of exchange. Free training is available to all members of this website. You will learn how to use and promote the site. Click here to sign up for a 30-day free trial. CF platform. This platform is also in the midrange for commissions. It pays 40% commission each month in residual income to affiliates for membership referrals. As a paid member, you will have access to more streams of income. In addition to getting a monthly income for members you referred, as a member yourself, you will be able to sell sale pages, sites, landing pages, product pages, professional pages for business professionals like real estate agents, business owners and more. As far as page creation goes, this platform is the best. You can create your own membership site within this platform and charge your members a fee. Additionally, you can create your own affiliate product for affiliates to promote. The income you generate from your site or page creations, your own membership site, different affiliate programs, etc. is yours to keep in full; the only thing you are responsible for is the monthly membership fee. Oh, this platform also pays commissions for various physical and digital products that they have available to their affiliates to promote. In addition, it has free and paid training--if a member you referred decides to sign up for the paid training, you will get a commission from that monthly fee, as well. Commissions are sent to your PayPal account. Social Media. Profit margins allow for advertisement on Facebook, in addition to other social media sites. Once again, having a large following makes life easier when promoting your affiliate products; however, you can leverage other people's following. Instagram Influence: Find an influencer on Instagram with an email address listed. Contact them and negotiate cost to post something you create for a minimum of an hour. Do not accept a 24-hour post, instead, break it up for the morning, afternoon, and evening so it remains fresh in the eyes of Instagram in addition to catching different followers based on their log-in times. Facebook Ads: Facebook can find those interested in your product quite easily because Facebook is the Matrix. Let's be honest. We freely give Facebook information about us without question and they turn around and capitalize on our information. Because you and I and others give them free information about us, it makes life easy for those of us purchasing Facebook ads. Make sure you know your cutoff or your spending limit to be profitable on your returns. If you don't have the budget or if you're new to Facebook advertising, start small so you don't waste your money, then grow from there. Blogs and Websites. If you don't have a large enough tribe, follow through with the same concept of finding influencers or websites with high traffic. Utilize banner ads, writing blogs about the products, and being a guest blogger. If you want free training on how to use this platform, including running Facebook ads, click here to go through their boot camp to learn how to retire in 100 days. You can start this training before committing to their membership. As an affiliate, if you reach a certain income level for membership referrals, they will pay you a separate monthly amount towards your dream car (pay for your dream car). Other incentives are available. Click here to have a free book shipped to you to help you utilize this platform fully to earn a monthly income. Just pay for the shipping. Click here to sign up for a 14-day free trial. CB platform. A lot of success was created through this platform for a lot of people, including myself. It's free to join. Basically, you select which product you want to promote and promote it. Depending on the product you choose, you can earn monthly or a one time commission. Commissions payout up to 95% or sometimes even more. In addition to promoting other people's products/stuff, you can also add your own product to the collection for other affiliates to promote; the platform takes a small percentage of each sale. When you sell your own products, you set the commission amount and the platform does the rest for you. When signing up and for tax purposes, you add your social security number. If you have a business, use your EIN. If you start off with your social, you can always switch to your EIN number later on. Commissions are pay via a check or direct deposit. Social Media. Follow the same steps that you used for promoting the platforms above. Blogs and Websites. Follow the steps that you used for promoting the platforms above. This training will teach you everything you need to know about the platform, like how to use it, how to start generating at least $100/day, and how to promote as an affiliate marketer in general. It might seem basic to someone who's been doing affiliate marketing successfully for a while, but it might also fill in some gaps or potholes that needed fixing in your knowledge base. That's all that I have for you today. If you find this blog helpful, comment below and share this blog. Let me know if you want to see more articles like this one. Have a wonderful day and thanks for reading! Money Matters are posted on the 2nd and 4th Monday of each month.